What is the key to writing a good song? There is one thing in particular that will make or break a song… That thing is NOT your level of talent. 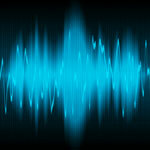 It’s got nothing to do with how your voice sounds… It’s also got nothing to do with how long you’ve been writing songs. I’ll tell you what this “key” is in a moment, but first there’s something that needs to be addressed. What I want to talk about is your songwriting process. Getting your “process” right will allow you to “get” the key that I’m going to tell you later. First of all… Are you aware of your songwriting process? Or does it seem like a random mess? Many songwriters struggle, because they mix up different stages of the writing process. More specifically, they mix the “creative” part of songwriting, with the “critiquing” part. When this happens, it’s like putting a large “lid” over your best ideas. phases of the songwriting process. To write a good song, you need to create ideas for it. And you also need to sit back, hear these ideas, and judge whether or not they are good enough to belong in the song. The problems is when you “mix” these ideas together, by trying to JUDGE ideas as you CREATE them, it effectively blocks you from discovering your best ideas. 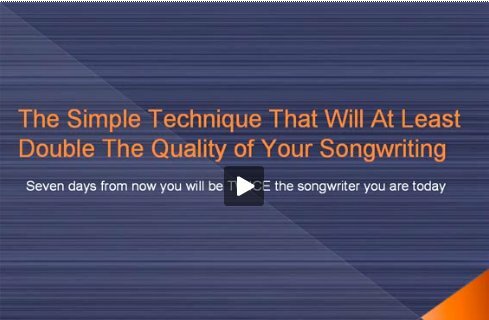 So right now, think about your songwriting process. Are you trying to CREATE and CRITIQUE at the same time? If so, here’s what you need to do. (And you’ll see how this leads into "the key" to writing a good song I spoke of earlier). You need to keep this CREATING and CRITIQUING completely separate. This means, when you are having a creative session… generating ideas for a song… you need to create without judgment. Yes, you need to follow your intuition towards what you feel is the direction you should be going in. But block out the inner conversation in your mind. When you hear that chatter going on about whether an idea is good or not, take your focus OFF of this. You see, the language center in your brain can be quite detrimental to your creativity. It prevents you from accessing the rich, creative potential of your mind. So by removing this ongoing judgment as you create, you’ll suddenly be accessing your more powerful creative resources. You’ll feel this too, as after a while of creating you’ll feel like you’re in a very relaxed “trance like” state where ideas seem to flow easier. I’ve created a course that’s designed specifically so musicians can discover their rich inner potential, by tapping into these amazing creative resources. You can learn more about this course here. There have been many hundreds of musicians who have already taken the course, and the results have been astounding. The reports of sheer joy as these musicians discover this “inner talent” that they’d been searching for flow in each day. It really makes writing a good song easy. to writing a good song is located. You see, when you create “non- judgmentally” for a certain amount of time, you sink into this “trace like state” where ideas flow richly and easily. One idea leads on to another, which leads on to another. And the quality of these ideas get better and better the longer you participate. The key to writing a good song is to get into this state. Because the song ideas you will create from this state will be FAR more INSPIRATIONAL than anything you could come up with outside of it. Get into this state often… this “inspired state”, where rich ideas come to you over and over again… and you will discover enough magical ideas to write many GREAT (not just good) songs. Let me finish with a process for you to follow. 2. Begin creating on your instrument. Don’t judge any idea that comes up. Just follow what hit’s you, and allow your instincts to guide you. One idea will lead onto the next that will lead onto the next. Follow this path with curiosity and enjoyment. 3. After you’ve done this for around 30 minutes, stop the recording. Take a break for an hour or so. 4. Come back to the recording and listen to it. Take note of all the ideas that you like. You’ll be surprised at the high quality of many of these ideas! Use them to construct full pieces. Writing a good song isn’t so hard after all, is it?! Enjoy this process and good luck.